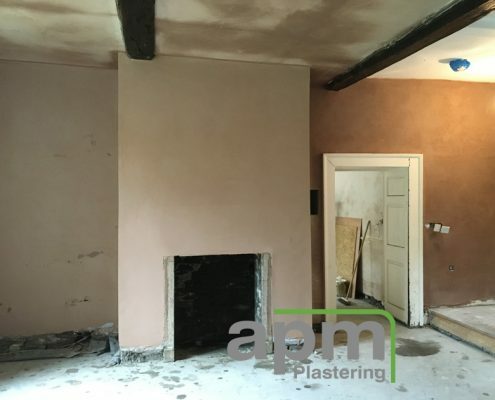 Did you know we specialise in plastering old properties? 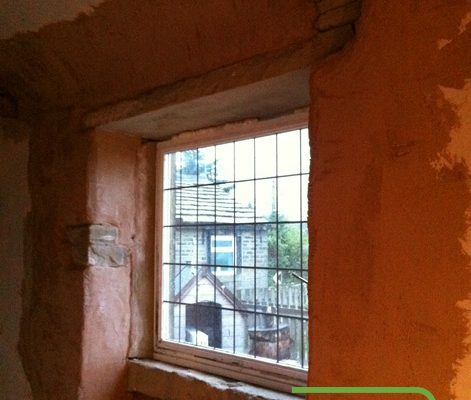 We are highly experienced in plastering around stone walls, curved walls and intricate spaces. We add contemporary elements whilst retaining old features. Transforming an old antique shop into modern premises but retaining traditional stone walls and features. We were asked to undertake specialist plaster work on the former antique shop at Bridge House, Honley in June 2014. The antique shop had not been attended to in over 20 years, with lime plastered walls and artexed ceilings. Creative Analysis Ltd and Social Progress Ltd decided to breathe a new lease of life into the space and aimed to transform it into a Digital Hub; bringing social media, CRM, email marketing and digital systems to the high street. The former antique shop has received a complete facelift. With our services the space was transformed from a tired, run down shop to a fresh contemporary working space. The refurbishment of the old shop included providing a training room, meeting room, kitchen washroom, new windows and carpets. The main entrance has been transformed into a modern, light and open office space. Our work involved completing specialist plaster work such as shaping around existing exposed stone walls. Large surface areas were plastered including ceilings and butting up to existing walls and stone work, leaving a seamless neat finish. In July 2014, the Digital Hub opened its doors and welcomed other businesses to the official launch event. “Our offices have received nothing but compliments since opening. The modern walls against the stone wall make everyone stop in their tracks as soon as they walk in the door! APM did a fantastic job of plastering up to the wall to really show it off.” Paula Atherill, Director of Creative Analysis Ltd.